Thalys announces start of The Tour de France. Did you know that The Tour de France will start in Brussels this year. 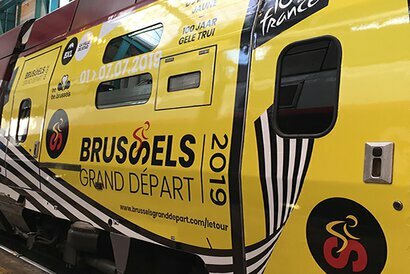 ‘Le Grand Depart’ will be on July 6. #EddyMerckx ,a Belgian cyclist and five times winner of the Tour de France, welcomed the special #Thalys train on March 28th and placed his signature on the train.